Freemasonry has always been about making good men better. Individuals aim to shape their lives around core principles. Freemasonry is a society of like-minded men who meet regularly in a fraternal and social environment, share a common desire to give charitable support to the community and attach importance to a high moral code. It was established many centuries ago and now has millions of members worldwide. It was founded as a male-only society and has been happy to continue as such, though there are now parallel Orders of Women Freemasons in the UK and abroad. Under the United Grand Lodge of England, there are 250,000 Freemasons, meeting in 7,368* lodges. There are separate Grand Lodges for Ireland (which covers north and south) and Scotland, with a combined membership of 150,000. Worldwide, there are probably 6.5 million members. Freemasonry is the UK’s largest secular, fraternal and charitable organisation. It teaches moral lessons and self-knowledge through participation in a progression of allegorical two-part plays. It is not known. The earliest recorded ‘making’ of a Freemason in England is that of Elias Ashmole in 1646. 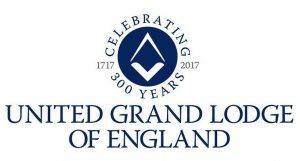 Organised Freemasonry began with the founding of the Grand Lodge on 24th June 1717, the first Grand Lodge in the world. Ireland followed in 1725 and Scotland in 1736. All the regular Grand Lodges in the world trace themselves back to one or more of the Grand Lodges in the British Isles. There are two main theories of origin. According to one, the operative stonemasons who built the great cathedrals and castles had lodges in which they discussed trade affairs. They had simple initiation ceremonies and, as there were no City and Guild certificates, due cards or trade union membership cards, they adopted secret signs and words to demonstrate that they were trained masons when they moved from site to site. In the 1600s, these operative lodges began to accept non-operatives as “gentlemen masons”. Gradually these non-operatives took over the lodges and turned them from operative to “free and accepted” or “speculative” lodges. The other theory is that in the late 1500s and early 1600s, there was a group which was interested in the promotion of religious and political tolerance in an age of great intolerance when differences of opinion on matters of religion and politics were to lead to bloody civil war. In forming Freemasonry, they were trying to make better men and a better world. As the means of teaching in those days was by allegory and symbolism, they took the idea of building as the central allegory on which to form their system. The main source of allegory was the Bible, the contents of which were known to everyone even if they could not read, and the only building described in detail in the Bible was King Solomon’s Temple which became the basis of the ritual. The old Trade Guilds provided them with there basis administration of a Master, Wardens, Treasurer and Secretary, and the operative masons tools provided them with a wealth of symbols with which to illustrate the moral teachings of Freemasonry. Freemasonry means different things to each individual – making new friends, contributing to society, celebrating a long tradition, experiencing personal growth, taking up a hobby, having fun. It varies from lodge to lodge but anyone wishing to join can find a lodge to suit his pocket. On entry, there is an initiation fee and an apron to buy. A member pays an annual subscription to his lodge which covers his membership and the administrative cost of running the lodge. It is usual to have a meal after the meeting; the cost of this can be included in the annual subscription or paid for at the time. It is entirely up to the individual member what he gives to charity, but it should always be without detriment to his other responsibilities. Similarly, he may join as many lodges as his time and pocket can allow as long as it does not adversely affect his family life and responsibilities.